The TRILUX Akademie is the central training facility of the company. Its offering includes seminars, talks, conferences and on-site visits for partners and customers of the company, and also qualification and further education measures for employees.The Academy sees itself as a service-oriented knowledge centre for all those who want to know more about the topic of light. In a market environment characterised by rapid technological changes, the Academy emphasises the claim of the TRILUX brand to be a driving force in creating the future of light – a goal focussing mainly on humans in its efforts. In the end, knowledge is the fertile ground on which new ideas can grow, no matter in which business area. The Academy's equipment and the know-how of its speakers and trainers therefore fulfil the highest standards. The TRILUX Akademie communicates lighting expertise as it is needed – trained by experts and close to professional needs. The TRILUX Akademie draws up individual qualification concepts and implements these, e.g. for municipal authorities. The wide-ranging programme of theme days, seminars and webinars enables even experienced lighting professionals to stay up-to-date. Knowledge gained in the specific certificate courses is verified by neutral, independent bodies (IHK, DIN CERTCO). For young professionals, courses are also available that establish a solid foundation for subsequent activities. 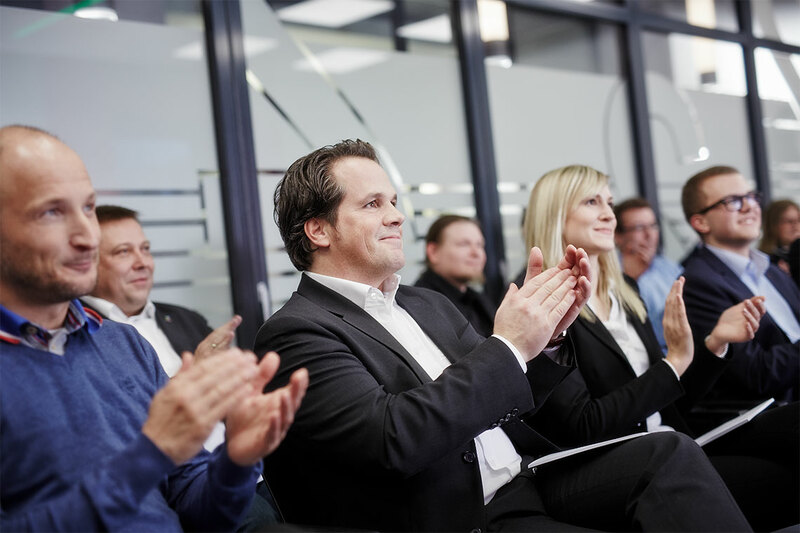 The TRILUX Akademie strengthens the qualification of all people working professionally with light. Qualified information about future topics and technologies support future capability, and become a competitive advantage, just as specific qualification offers. 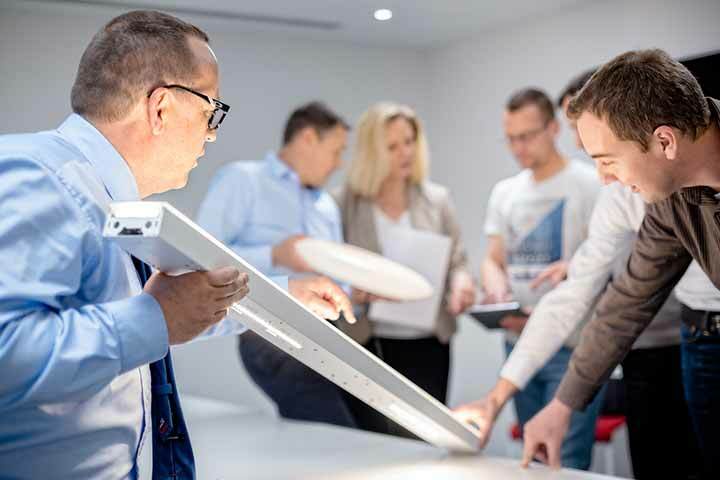 The TRILUX Akademie offers companies attractive trainings for employees to make them fit with regard to the topic of light and to find their way in business. Specific knowledge support increases the quality of planning and implementation, and also efficiency when carrying out work tasks. Individual offers supplement the program. Fundamental, state-of-the-art lighting expertise and discussing with sector insiders strengthens the level of competence and existing customer relations. The network character helps to establish new customer relationships and identify customer needs. Overview of all TRILUX Akademie seminars, theme days and webinars for the first half of 2017. 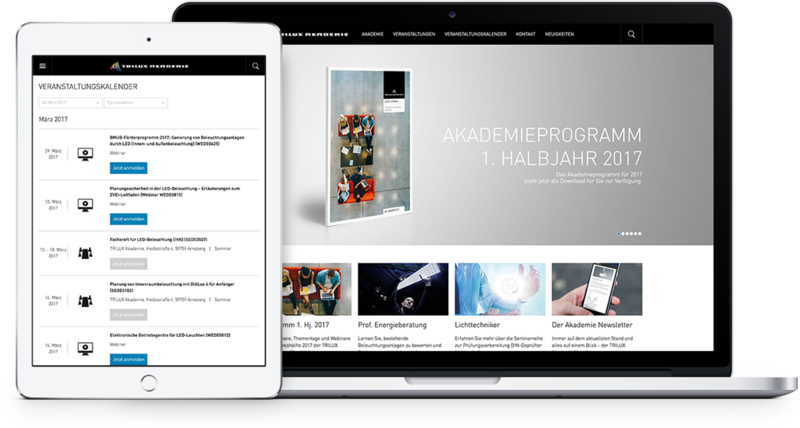 Discover the many innovative and practical consultation, qualification and information services of the TRILUX Akademie.